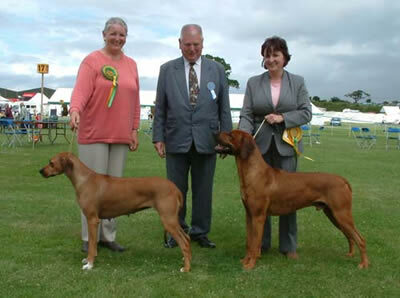 Paignton Championship Show 2004 saw Zena () win her 3rd and qualifying CC to gain her UK Championship title. She then went BOB and was shortlisted in the Hound Group. At the same show, Kip () won the RCC. The judge was Robin Searle who 10 years ago gave Zena's grandmother, Tammy (), her 3rd and qualifying CC at the same show. Zena is just 11 weeks off her litter and Tammy was 13 weeks off her litter when she gained her crown.